My favorite is the last. With the strands of your hair flying, it looks more natural (unposed). However, the flowers blend with your clothes and the road in the background. But that might have been the desired effect. Please keep sharing. 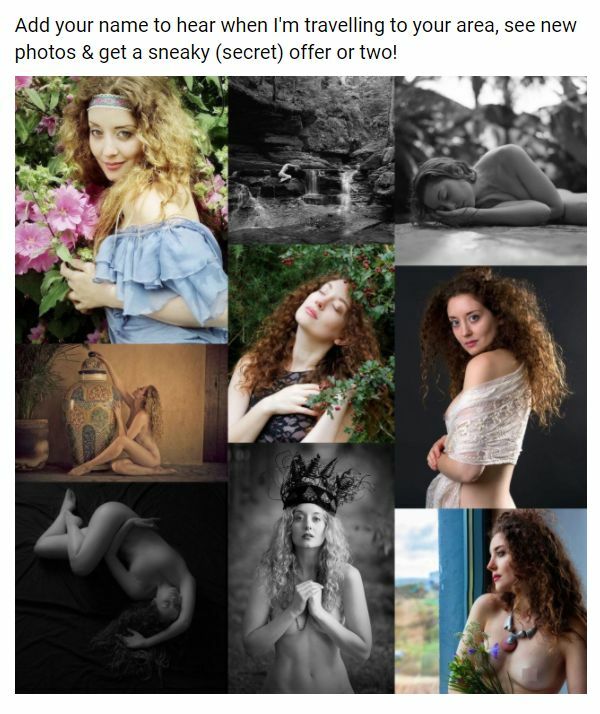 A beautiful set of images, well done all. Some great work here, ratios and all. I am so pleased that you enjoyed your day Ella. I love these images taken by Jules. They are a brilliant natural set of images that show how truley beautiful you are! As for a fav…can't decide. I'm struck by the “stone sofa” photos. Good poses and interesting idea. I always say, It's not the photographer capturing the moment, it is the subject giving that Perfect moment. In lack of words, you are Exceptional! I always say, It's not the photographer capturing the moment, it's the subject giving him that moment. In lack of words, you are Exceptional! Thank you so much for all these comments!! Hold the presses!! You on the tree branch is the finest one. What was I thinking? Where is Tim Pile when you need him?